Here are selected props I could capture on film at the Titanic Movie Tour. Includes many props, which includes furniture as well as hand-held props from First Class down to Third Class. Enjoy! 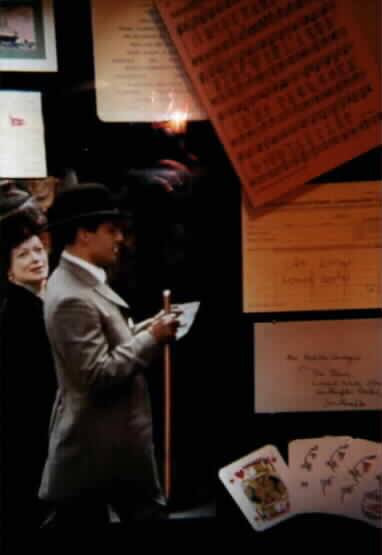 Above photos show the written props including the letter Cal holds, one of those ice warnings, and sheets music for the musicians. 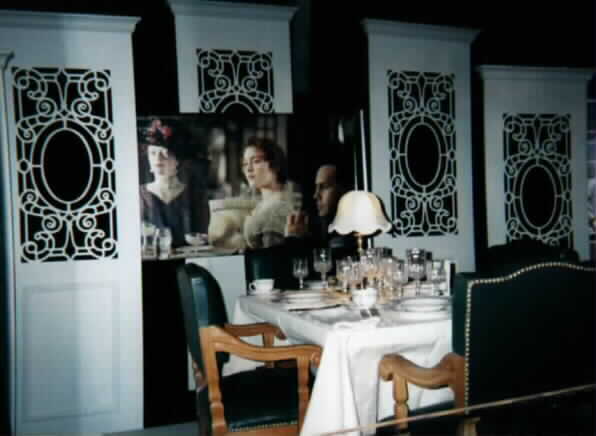 The dinner setting is from the 1st class dinner scene in which Jack is invited to after saving Rose. 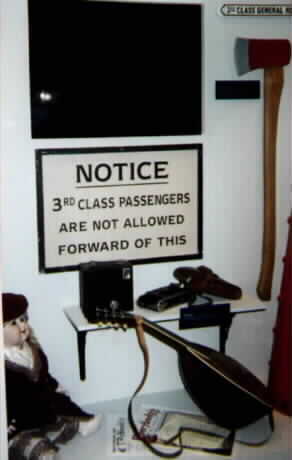 Here is an assortment of props used through out the movie for or relating to third class passengers.